This made news a few years ago. The difference this time is now Amazon apparently may purge reviews from someone an author “knows” online. Yes, you read that right. This can be someone who has friended you on Facebook, followed you on Twitter, or has done business with you in a way that’s detectable to the Amazon review police…. So how do they determine if you “know” an author, anyway? I’m all for taking down reviews that are fake or paid for in some way (even by the promise of a free book). But that seems, er, excessive. The modern method of book marketing involves authors having an online presence–via a blog, Twitter, Facebook…. You’re supposed to find “friends” out there. Why penalize someone who finds them? If the purge ever reaches me, I don’t think it will have much effect. The vast majority of the reviews my books have received have been from complete strangers . . . I think. But I don’t really know, since a user can follow my blog with one name and review one of my novels with another. Can Amazon figure this out? Yeah, I suppose it can. 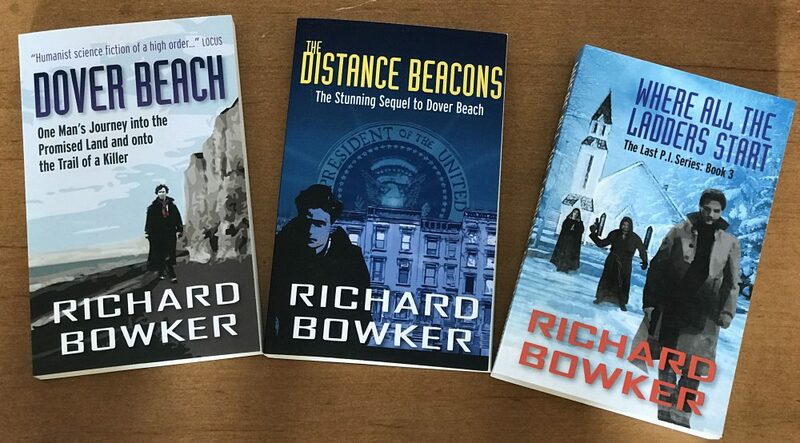 This entry was posted in Ebooks and tagged Amazon, book reviews, books, publishing, writing by Richard Bowker. Bookmark the permalink. That’s ridiculous. I follow most of the authors I like on goodreads. That doesn’t mean I’m being paid to review their book!!! !